In the piston range of a driver (before the cone exhibits oscillations other than those induced by the motion of the voice coil in the magnet), a loudspeaker acts as a high pass filter (HPF). The resonant frequency of a speaker, f0 (pronounced: F-naught), is the frequency below which a loudspeaker is increasingly unable to generate sound output for a given input signal. Interestingly, this HPF is often characterized, mathematically, as an electrical R-L-C circuit. And this resonant frequency can be inferred from the electrical impedance of the driver – the point at which the inductances (L) and capacitances (C) offset each other, leaving only resistance (R), with zero phase shift between voltage and current in the driver. This is the method often used to measure a driver’s Thiele-Small parameters. Resonant Frequency. 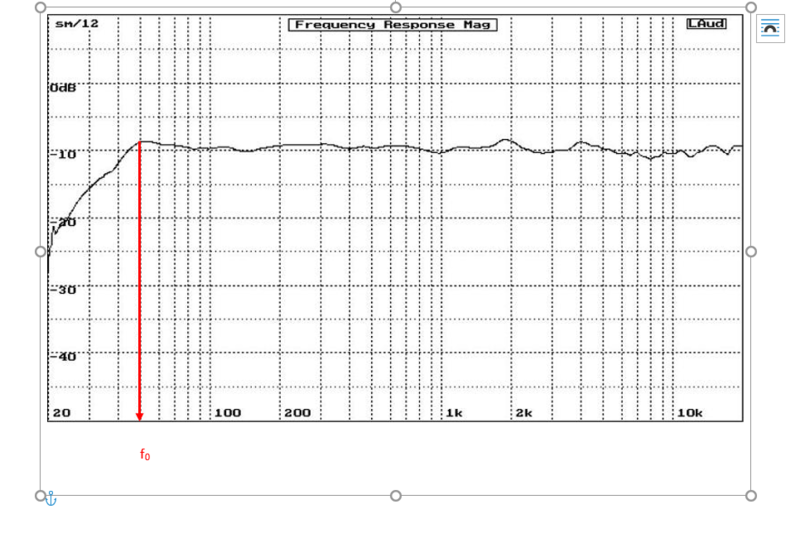 When this is measured for the driver in free air, this resonance is referred to as fS. 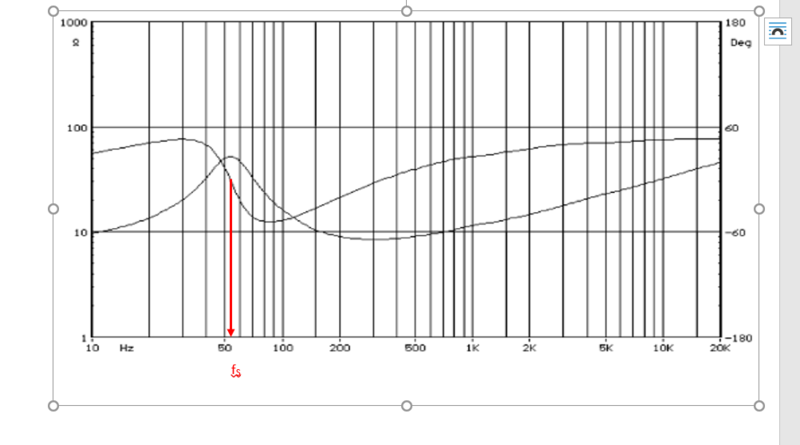 It’s important for a driver manufacturer to specify this as the resonant frequency of the HPF for the loudspeaker is influenced by the enclosure.